An account of the CIA's interrogation of Saddam Hussein, written by the CIA agent who conducted the questioning. Most C.I.A. memoirs are terrible — defensive, jingoistic and worst of all, tedious. Others are doomed by the C.I.A.’s heavy-handed and mandatory censorship. There are exceptions, and that list includes the refreshingly candid Debriefing the President ... reveals gobsmacking facts about that deposed Iraqi leader that raise new questions about why the United States bothered to invade Iraq to oust him from power. These details will likely appall Americans who have watched their nation’s blood and treasure wasted in Iraq ever since. More broadly, Mr. Nixon offers a stinging indictment of the C.I.A. and what he sees as the agency’s dysfunctional process for providing intelligence to the president and other policy makers ... His most astonishing discovery was that by the time of the United States-led invasion of Iraq in March 2003, Hussein had turned over the day-to-day running of the Iraqi government to his aides and was spending most of his time writing a novel ... Mr. Nixon’s most scathing criticism is reserved for the C.I.A, which he describes as a haven for yes-men excessively eager to please the White House. Among this growing genre [of Iraq War books], John Nixon’s Debriefing the President is nearly unique, resembling nothing so much as a workplace comedy. Forget American Sniper or Zero Dark Thirty — the nearest analogue to Nixon’s story of meetings going nowhere and supervisors talking past each other may very well be The Office ... The portrait Nixon sketches here is fascinating, offering details that have been misrepresented or completely missed elsewhere ... Bush proves himself again and again to have little interest in the nuances and subtleties that constitute foreign policy. If it’s not cut and dry, he’s not interested. 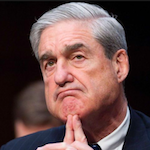 This worldview has been well documented, but Nixon has the unique perspective of one who has sat in rooms with George W. Bush and his avowed enemy. Saddam’s literary side is often overlooked — an understandable omission when discussing someone responsible for horrific massacres — but it speaks to his divided character …After he was captured, Saddam frequently requested reading and writing materials. 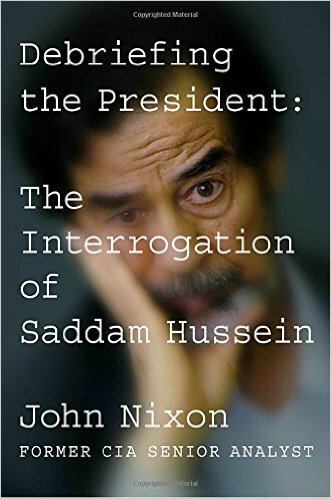 ‘You must understand, I am a writer,’ he told John Nixon, a CIA interrogator whose book, Debriefing the President, was published last year … Saddam saw himself as a fearsome, benevolent sovereign, a cultured and far-sighted man, despite having left his native country only twice and repeatedly plunging his people into disastrous wars … He thought that the country needed him and that the insurgency was a natural result of his removal from power. You’ll miss me soon enough, he told his interrogators. Here he’s in agreement with some American analysts, including Nixon, the former CIA officer. Nixon came to see Saddam as a brutal but clever operator who, through manipulation and fear, maintained unity in his fractious country. What did you think of Debriefing the President: The Interrogation of Saddam Hussein?